Product : Bio Care Cucumber Scrub Product Code : B.. Product : Bio Care Coffee Gel Scrub Product Code : .. Product : Bio Care Blackhead Scrub Product Code : .. Product : Bio Care Apricot & Peach Scrub Product Code .. The many health benefits from the ocean. Product : Oriflame Omega 3.. Product : Oriflame Love Nature 2 in 1 Cleanser Wild Rose P.. Product : Oriflame Love Nature Night cream Wild Rose Produ.. Product : Oriflame HairX Black Shine shampoo Product Code .. Product : Oriflame Love Nature Face Lotion Tea Tree Produc.. Product : Oriflame Love Nature Cleansing Gel Tea Tree Prod.. 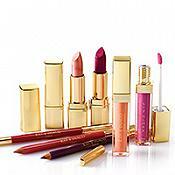 The colorbar USA Extra Durable Lip Color stays long and its Rich in texture, Stays for 10 ..